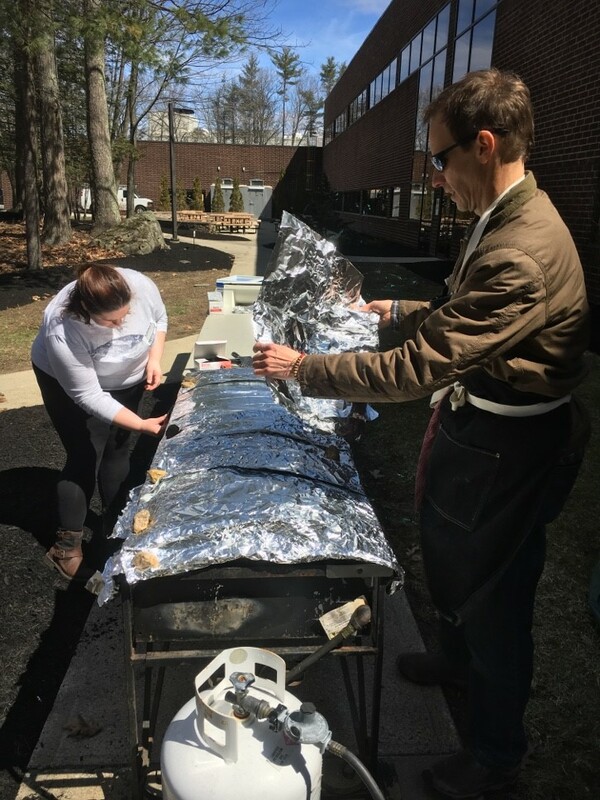 As part of the outdoor lifestyle brand’s fourth annual Earth Week celebration, leading up to global Earth Day on April 22, Timberland hosted a series of environmentally-focused events at its Stratham, NH headquarters. From reforestation and cattle ranching, to sustainable seafood and a tiny house, the week’s full schedule of events was designed to engage employees in the company’s efforts to protect and restore the outdoors, while also providing actionable ideas for adopting more sustainable practices in their own lives. Samantha St. Pierre, Manager of Markets Transformation at Rainforest Alliance, discussed the challenges associated with natural rubber plantations and described Timberland’s and Rainforest Alliance’s shared efforts to drive the industry in a more sustainable direction. St. Pierre also informed employees of how they can support sustainable natural rubber through their own purchases of rubber products including tires, yoga mats, and more. This annual fair included local businesses and organizations that offer products or services to help employees improve the sustainability and wellbeing of their personal lives. Employees were invited to tour a tiny house, learn about sustainable commuting, and purchase locally-made organic personal care products. Timberland’s Earth Day community service partners also attended the fair to showcase projects at which employees can serve on the company’s annual Earth Day service event on May 10. Hugh Locke, co-founder and president of the Smallholder Farmers Alliance, shared how Timberland’s 2010 commitment to plant five million trees in five years in Haiti has evolved into an expanded tree planting effort that will reintroduce organic cotton production to Haiti after a 30-year hiatus. Timberland aims to transition from a donor to a customer and ultimately source organic cotton from Haitian smallholder farmers, plant up to 25 million more trees, and benefit the livelihoods of up to 30,000 farmers. Filmmaker and Arizona State University professor Peter Byck shared his work on regenerative cattle ranching and how the leather industry can support and drive adoption of these environmentally-preferred practices. Byck explained how regenerative grazing practices can improve farmer profitability, regenerate soil, improve watersheds, increase biodiversity, and remove harmful CO2 from the atmosphere. 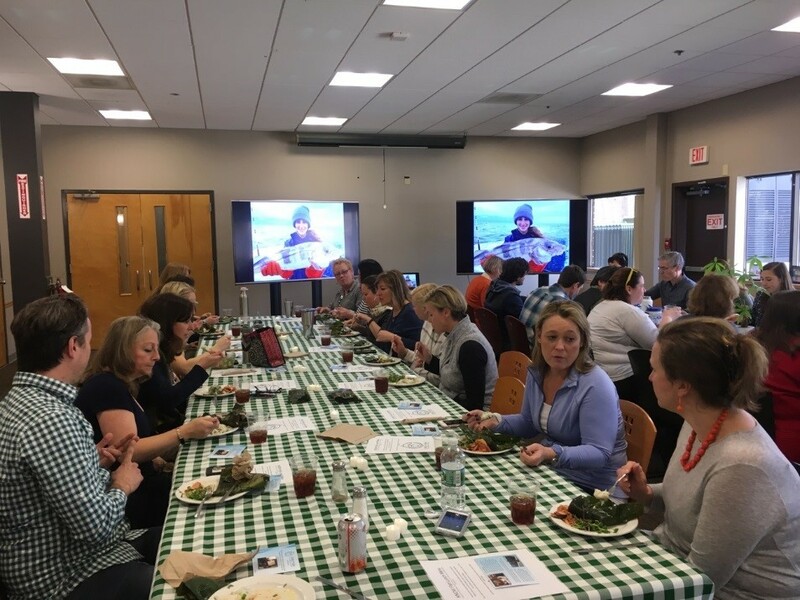 Employees enjoyed a local, sustainably-caught seafood lunch prepared by award winning chef Mark Segal. This event included a Sea-to-Table experience with a presentation from New England Fishmongers, a local company that sustainably caught the fish the day before using rod and reel, and One Fish Foundation, an educational non-profit that raises awareness about the benefits of sustainable seafood. For more information about Timberland’s efforts to create responsible products, protect the outdoors and serve communities around the globe, visit www.timberland.com/responsiblity.